Learnt something this week that I'm kind of afraid that everyone else already knows. Greaseproof paper and baking parchment are two different things! This flapjack proves the point. Made with greaseproof paper it sticks to it like the proverbial poo to a blanket. No chance of getting it off without loads of paper attached. Baking parchment on the other hand nothing sticks to. I guess you learn something everyday, won't be buying greaseproof again in a hurry! Anyone else learnt anything lately that everyone else already knows? I have also found that out, a few years ago. Now you can get them together as one product. Haven't tested it with flapjacks though. Yes, I found that out too. Just make sure you keep them in their correct boxes when you use them, they can be a devil to tell apart when they're out of the boxes! How's Alistair getting on, can we have a picture of him yet? I find this out every time I send the husband to the shop for baking parchment and he comes home with the other. Greaseproof paper has to be greased well (oiled or buttered) before baking, for it to work, and things not to stick to it - it works perfectly then! Whereas baking parchment not, you just use it as it is (which is way easier and less messy!). I've learned that the hard way too, some time ago. i've often wondered the difference, thanks to this post I don't have to find out the hard way like you did! I stopped buying greaseproof paper completely after a few uses of the 'wrong' product. Now I use parchment or my longlife non-stick mat thingy (expensive to buy initially but wash and wash and last for years). I've never even heard of greaseproof paper! Maybe we don't have it here in the States? I may be showing my ignorance again, but what are "flapjacks?" Thanks Mama Pea, I thought I better read all replies before I ask the same question. Over here, flapjacks are an oldwest or loggers term for pancakes. That is not a pancake in the picture! Greaseproof paper is like wax paper without the wax. It's just parchment. As for flapjacks, I also think of them as pancakes or griddlecakes. If made with cornmeal, then johnnycakes. I too, have not heard of grease proof paper. I have a couple boxes of parchment paper for baking. Bake in the OLDEN days when I was a girl - there was no silicone treated non-stick parchment. As said above we used any paper well greased. Greaseproof is a decent weight clean white paper - that is (shock horror) a little resistant to grease when you wrap stuff up in it. I used this when I was grown and made fancier cakes for friends and for pay, but still used brown paper for the outer layers on fruit cakes. We have a couple of silicon tray bottoms, both bright red and non stick, just give them a quick wash after use. I learnt the same after finding out the hard way, at least someone else may be saved by your post. I was in secondary school before I realised that aluminium was the same as 'aluminum' as the Americans pronounced it on TV. People thought that was pretty thick at the time. 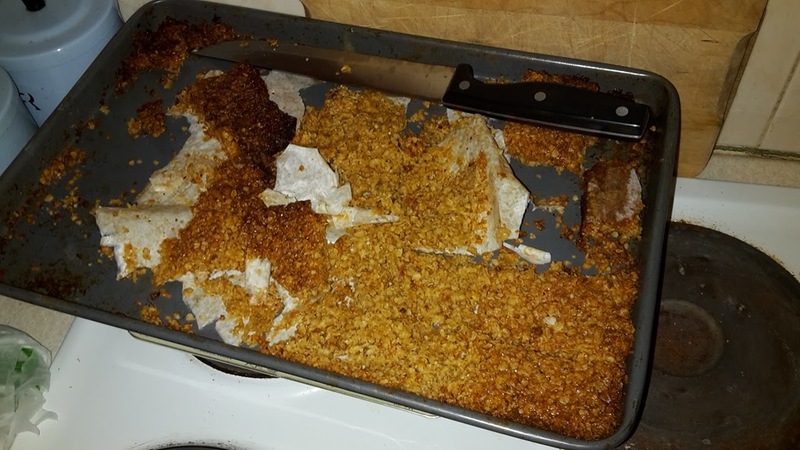 If you grease the pan really well you don't need anything under flapjack we have never used any paper or parchment with it actually I'd be scared to try. (ease it out with a fish slice/spatula thingy. Yep and brown paper and butchers paper... as a kid these were the papers we used for lining the fruitcake tin and sultana cake tin... multiple layers each greased and smoothed. We don't have greaseproof paper here (W. Canada) We have parchment paper, silpat sheets and reusable cooking sheets. The reusable sheets are brown and can be cut to any size and used over and over and are reversible. Best thing ever. I got them at Costco about 3 years ago and they have never had them again! We also have wax paper but I don't think people use that very much any more. Like you, I had no idea there was any difference. However, Lady Magnon made some flapjacks (with currants) yesterday, and they didn't stick to the tin. Silicone is the superior beast but and I hope you don't mind me saying this going by your photo of the flapjack you didn't use enough paper - greaseproof will work if you double layer and give it 'flaps' each end. Plus if your recipe is particularly fatty it will work also. I do still buy greaseproof but use it mainly for wrapping certain foods rather than cooking. I use fry-light spray on tins mostly including for flap jack, but funnily enough I always use baking parchment or greaseproof paper when baking a chocolate brownie! Spring Is So Close I Can Almost Smell It!